Giuseppe Arcimboldo was a renowned and influential Italian painter who is known to have been a pioneer artist of the Mannerism movement of the 16th century that combined the artistic traits of the High Renaissance with the elements of the Baroque style to portray an intrinsic relationship between nature and human life. Arcimboldo is renowned for portraying whimsical and absurd depictions of vegetables, fruits, animals, books and countless other objects that are enigmatically re-arranged and given the face of human portraits. Arcimboldo’s work had a profound influence on the works of several prominent Surrealist artists in the 20th century. Giuseppe was born in 1527 in Milan, Italy. His father, Biagio, was a painter who worked at the workshop of the Fabbrica, at the Duomo. In 1549, Giuseppe was assigned on his first commission, his task was to design stained glass window for the Stories of St. Catherine of Alexandria vitrage at the Duomo. In 1556, he collaborated with Giuseppe Meda to develop frescoes for the Cathedral of Monza. Two years later in 1558, he was commissioned to draw the cartoon that was to be hanged on a large tapestry at the Dormition of the Virgin Mary. This tapestry still hangs in the Como Cathedral to this date. In 1562, King Ferdinand I appointed Giuseppe Arcimboldo as the court painter for the Habsburg court in Vienna. Later, Maximilian I and his son Rudolf II also appointed Arcimboldo as the court painter in Prague, he also served as the court decorator and royal costume designer. In 1570, King Augustus of Saxony visited Vienna and became inspired and greatly impressed by Arcimboldo’s work and commissioned his services for a copy of his “The Four Seasons”, which was to have his own monarchic symbols incorporated within. Arcimboldo’s work has been largely traditional and conventional, portraying religious subjects, however, his fame is accredited to his greatly admired and praised portraits that depicted human heads made up of fruits, tree roots and vegetables. These portraits have influenced generations of artists, and remains a source of immense captivation till this day. 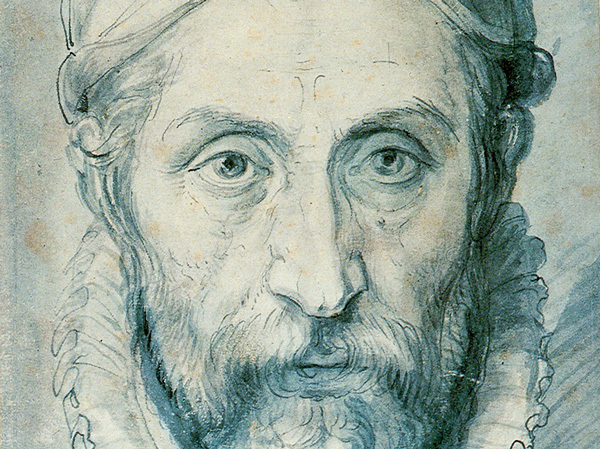 Arcimboldo resigned from the Habsburg court shortly before his death. During the last days of his professional career, he developed his famous and iconic composite portrait of Rudolph II, the Four Seasons and a self-portrait. Arcimboldo died in Milan in 1593. Giuseppe Arcimboldo’s works are showcased in the Kunsthistorisches Museum, in Vienna, Uffizi Gallery in Florence, the Wadsworth Atheneum in Hartford, Connecticut, the Denver Art Museum in Denver, Colorado, the Menil Foundation in Houston, Texas, the Candie Museum in Guernsey, the Habsburg Schloss Ambras in Innsbruck, and the Louvre in Paris along with several other museums and galleries in Sweden and Italy. Some of his major and widely acclaimed works include, “The Jurist”, “The Librarian”, “The Four Season”, “Winter”, “Spring”, “Summer”, “Autumn”, “Vertumnus”, “Flora”, and the “Vegetable Gardener”.